We are a diverse group of people seeking to follow Jesus. What brings us together is a desire to grow in our relationship with God, and we see this as a journey of exploration which each of us has to experience for ourselves with the help of others around us. We don’t necessarily hold the same views about how to do this, have all of the answers, or see ourselves as being “sorted”. We know that we’re not “perfect” and we need help from God and each other. We believe that we can experience God’s presence today and we would love you to join us on this journey. We desire to grow in our relationship with God through Jesus. We invite you to share this journey, experiencing His presence and love together. A Jesus lifestyle – The Bible, the supreme authority of God’s word written, calls this ‘discipleship’. When read, taught, heard, understood and applied, lives will be transformed in church and community. Teaching, training, equipping and empowering people to live a Jesus lifestyle is always at the centre. A Worship-full life – Experiencing, expressing and responding to the love of God the Father, learning to live like Jesus (God the Son), and seeking the empowering presence of God the Holy Spirit both in our times together and the whole of our lives. Rock solid Relationships – Receiving God’s kindness and forgiveness defines who we are, and we want to share it as generously and as widely as possible, locally, nationally and internationally through strong relationships, first with God and then each other. God has a role for everyone in this endeavour, joining in the journey of His ‘Mission’ to the world. As a congregation of the Church of Scotland in Culloden, on the east side of Inverness, the Parish covers the communities of Balloch, Culloden, Smithton, Westhill and Cradlehall, and our family includes a broad spectrum of people. From those who have been followers of Jesus for many years to people who are new to following Him. We’re from diverse and varied backgrounds and all age ranges. 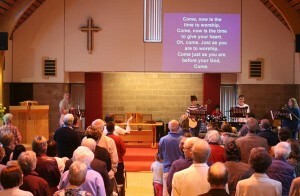 We encourage and welcome people who don’t yet know Jesus to join in and explore what it means to follow Jesus. The ‘Old Barn’ was built in 1729 as a tithe barn for The Culloden Estate. The date is carved in the skew-putt of the gable above the exterior stairs which once led to a hay loft. It was probably built by Duncan Forbes, who was the Lord President at the time. The actual work would have been carried out by tenants of the estate houses. The original doors were directly opposite each other on the long walls, and as they were too narrow for the horse & cart, it is believed their real purpose was for the winnowing of grain. On a windy day, all the doors would be opened, and the grain stored in the loft would be poured through the trap. The chaff and lights would be carried away by the wind, while the good grain was bagged & carted to the meal mill at Milton of Culloden. It’s interesting that Psalm 1 in the Old Testament of the Bible uses the image of winnowing to draw a sharp distinction between good & evil ways. The church family who inhabit this place today share the same purpose of seeking out and holding onto what is good, and working to put that to its best use. 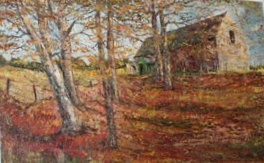 From the earliest times, the barn may have been used as a place for worship. It is said that the Moravian covenanters used the buildings for their services. Though forbidden by law, these champions of Presbyterianism gathered to hear the Gospel in secret places all over the North. Around 1860 when the agricultural use of the Barn diminished, regular worship began to take its place. Lancet windows were fitted to make the building look more like a Kirk for its then congregation, the Forbes family and their staff. The head gardener acted as precentor to lead worship. 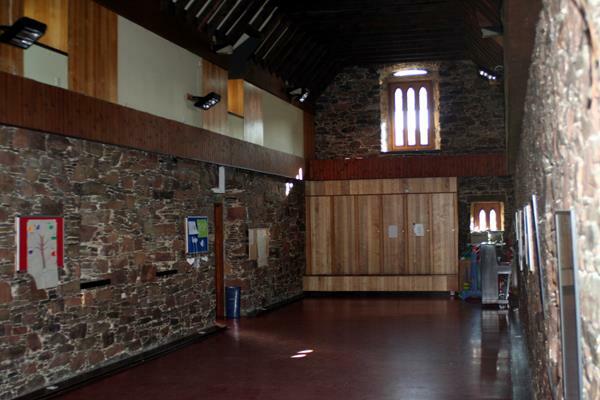 For a century the Barn was used in this way as a mission station connected to the East Church of Inverness. The first Sunday School was started around 1920. The former hay loft served as the estate joiner’s workshop, and was later used by the local Scouts. The beginnings of the current parish was created on 1st January 1975 as a Church Extension Charge, to serve the large new housing estates which were being built on the old Forbes lands, and the first minister was called in 1977. Extensive renovations of the Old Barn were completed the same year, with the loft being removed which resulted in a very beautiful old church. 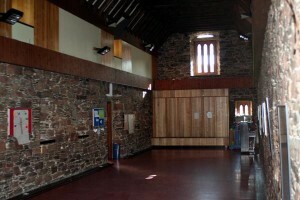 The ‘New Barn’, a modern hall-church built to pay tribute to its older sister building was opened on August 26th 1982, with a further hall entrance, kitchen and toilets connecting the two buildings as they stand today. The congregation was granted Full Status by the General Assembly of 1989. 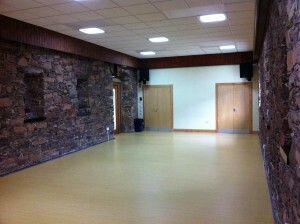 Further renovations took place to the old 1960s ‘Vestry block’ between 2006-10, to provide the ‘Barn Centre’ with rooms suitable for various ministries, groups, meetings and Crossreach Counselling. The Old Barn has also been further renovated with a suspended ceiling to improve heating, lighting and installation, as well as to provide better storage and a further room within it. Its original stonework is still visible on the inside. The Barn has seen lots of change throughout its rich history, but most significantly the lives that have been transformed by Jesus. The Barn as a family, is still on a journey of change for the better, and like our lives, the buildings we call home will be open to change to meet the needs of the family and the community we love and serve. We invite you to come & enjoy our historic home, but also to meet and share in the faith of the family which has shaped our history and our lives. God gave his only Son for us, so that believing in Him we can know life, a rich, eternal life – “life to the full” which starts now!